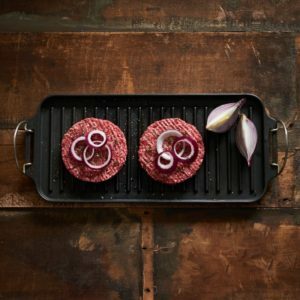 Burgers are always a BBQ favourite. 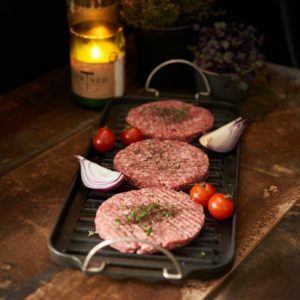 Go for our 100% meat steak burgers for that classic taste or try something a little different with our tasty pork and chorizo, lamb or chicken choices. 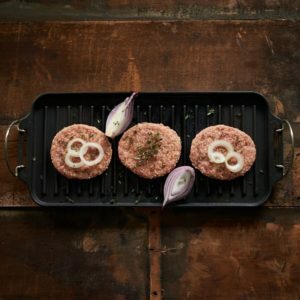 A burger made with lean mince, seasoned to perfection. 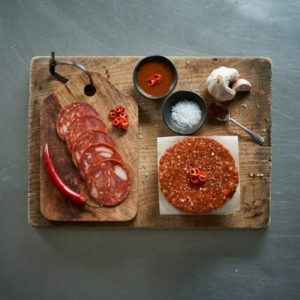 100% meat – no messing, just meat. 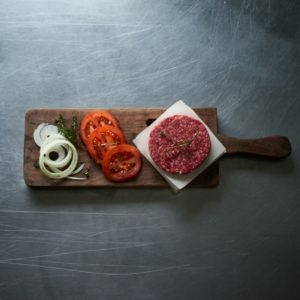 A lean beef burger which is gluten free but full of flavour. You don’t have to wait to the barbecue season to enjoy our most popular burger. 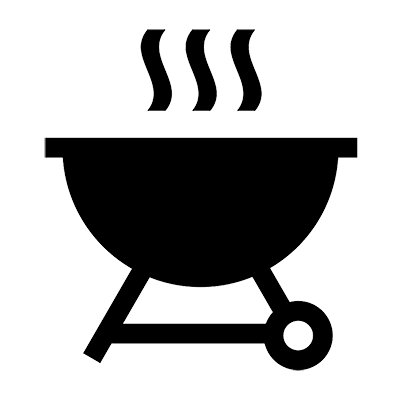 Grill or cook them in the oven for everyday tea – kids love them. 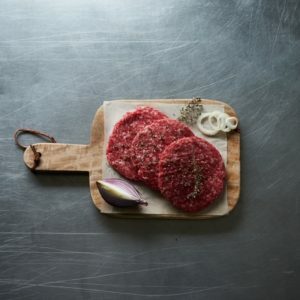 Wild highland venison minced with herbs and spices makes up our lean, tasty venison burger. For that touch of spice, try a spicy chicken burger. Seasoned with a Peri Peri sauce, this is a burger with attitude . A beautifully flavoured burger made with lean pork mince and chorizo for an alternative burger taste. 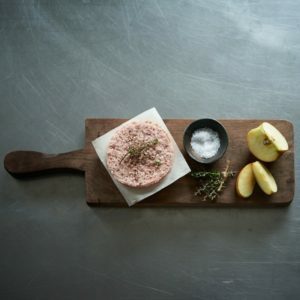 The classic apple and pork combination in a burger. A great alternative to a beef burger. 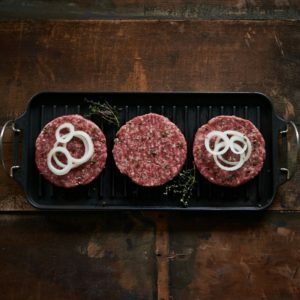 Lean scotch lamb, minced and seasoned in a burger. Serve on a bun with mint sauce.